Similar to other medical negligence claims, head and brain injuries can vary greatly in terms of severity. As a result, the amount of compensation that you could receive varies too. It’s unlikely that an online compensation calculator can adequately value your claim. If you have suffered a brain injury in the last three years that was caused by someone else’s negligence, then you should get in touch with our experienced medical negligence solicitors. Our team are legal professionals with medical knowledge and they can let you know if you have a valid case for brain injury compensation. We can talk you through the whole process. To help you understand more about brain injury compensation, we have listed the different severities of brain injuries below. The figures below are taken from the government published Judicial College Guidelines, which are simply lump sums to illustrate the pain, suffering and loss of amenity you have suffered. However, these figures provide a guideline as to what compensation you may receive. The figures below are not definitive but they serve as a rough guideline as to what may be expected in various cases. 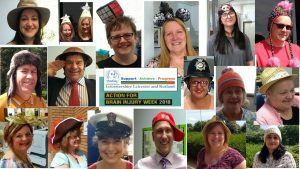 We were very pleased to wear our hats at BTTJ and raise money in support of Hats for Headway during Action for Brain Injury Week. Headway are a great charity who support and provide rehabilitation to people affected by brain injury. Headway LLR raised over £300.